Scroll down to see completed projects!! The Thomas and Hurley Brand, brings 30 years of furniture design and manufacturing direct to the cutsomer. With distinctive collections and designs, Thomas and Hurley helps you to create a home or office that is beautiful, functional and affordable. Each collection has its own character, but can be altered to suit your personal needs. This way you are not buying something out of a box, but you are buying a truly personal experience. As our products are manufactured locally in our Alexandria factory, we will help you design your own personal furniture to suit your needs. All our furniture is hand finished with our own multistep process to achieve rish, long lasting finishes. 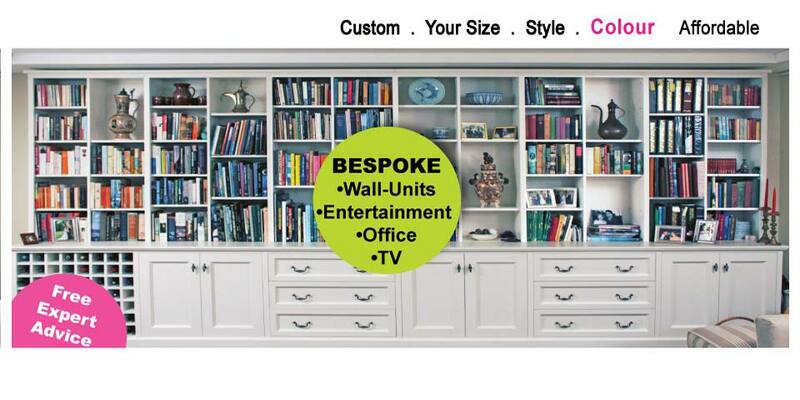 Come in and visit our showroom, or contact us with your approximate space dimentions and we can discuss your options.